It was Kings day yesterday. My hangover made me do this stupid joke. 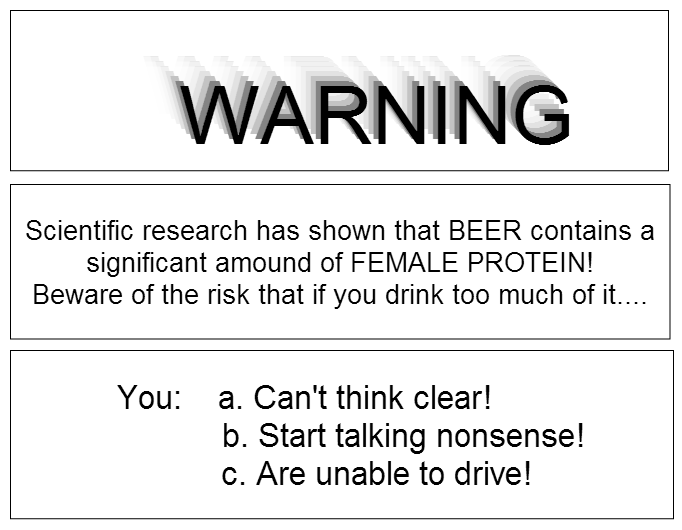 Scientific research has shown that BEER contains a significant amound of FEMALE PROTEIN! You: a. Can't think clear! c. Are unable to drive! Thnx, I didn't expect this. Not with this bad joke. hahaha I fit well all the three categories, is it maybe because I like beer too much? Ha ha ha! Conga on bribed!